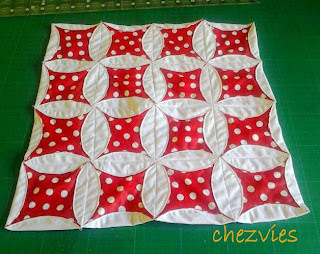 I've been wanting to learn cathedral windows block but too scare to start until Chumkie who blogs at My Favorite Things started a QAL in Desi Quilter's. It looks so complicated in the beginning but with Chumkie's clear instruction and see other's result, finally I managed to do it and had LOTS of FUN making them. The First CW QAL is Orange Peel Method. It is a bit tricky because you have to make it as round as possible. 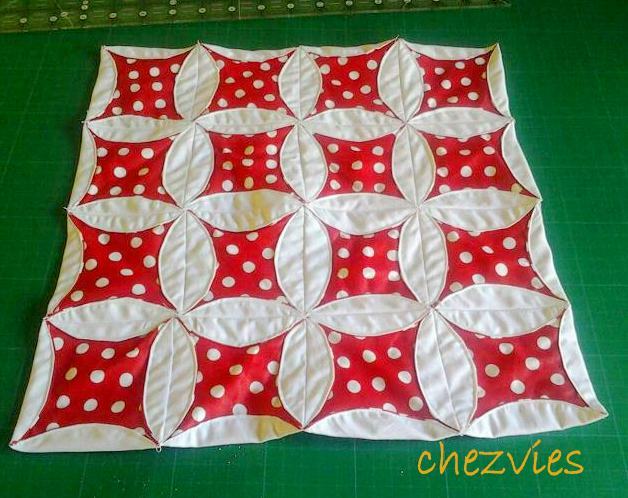 I made cushion cover with two colors, polkadots red and solid white. I love wearing this headband under my scarf. It holds my hair in place plus it's not slippery since it's made of cotton. This headband is very popular..even little girls love it, cos it's so comfortable to wear. 1. Rectangle fabric measuring 12" x 9"
2. Strip of fabric 2.5" x 11"
3. 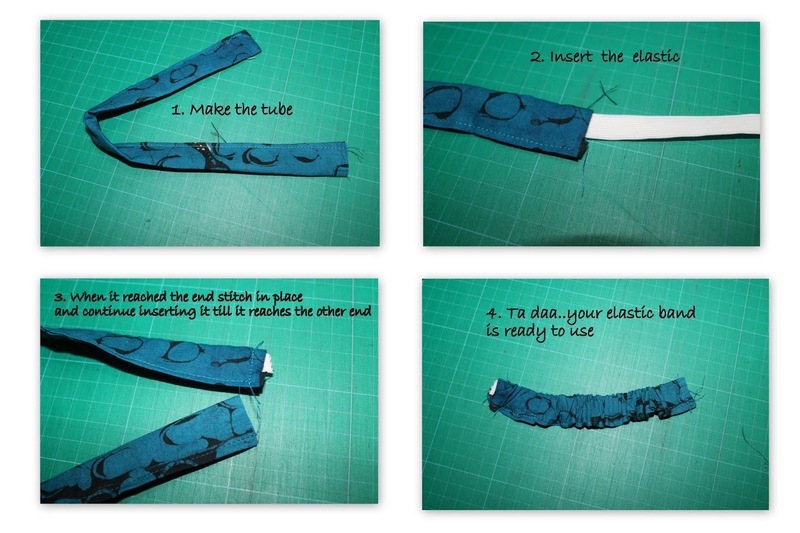 1/2" elastic : 5"
4. Make pleats and put it on top of the elastic with the edge/hem ON TOP. Do the same with the other half. 5. Stitch in place. Double stitch if necessary. 6. Repeat STEPS 3, 4, 5 with the other side. This is the way quilters celebrating Independence Day. And in my case, I have 2 Independence Day to celebrate, India and Indonesia. We at Desi Quilters are having August Challenge with the rules: (1) Make a mini not bigger than 12"x12", using pieces not bigger than 1.5" finished (2) Colours to be used - saffron, white and green ONLY..Yes, the Indian Flag colours. and the second one, today 17th August is Indonesia's Independence Day. To celebrate it, today I first attempted making this coaster using foundation piecing. Which is TOUGH!! But I made it, though it's not as neat as I'd like it to be. The finish size is 4.5" squares. I should have tried something bigger than that -,-. I knoww..it's a bit late to post this one. But I was on vacation and did take my lappy along, hence the delayed post. It was an honor for me to be featured in this fabulous group of quilters in Desi Quilters. Just like the tag line, in DQ we sew, quilts,chat and most important thing is we're having a lot of FUN. Thanks alot TINA, it's really mean a lot to me to be part of the Desi quilters! !..Go go Indian quilters!! 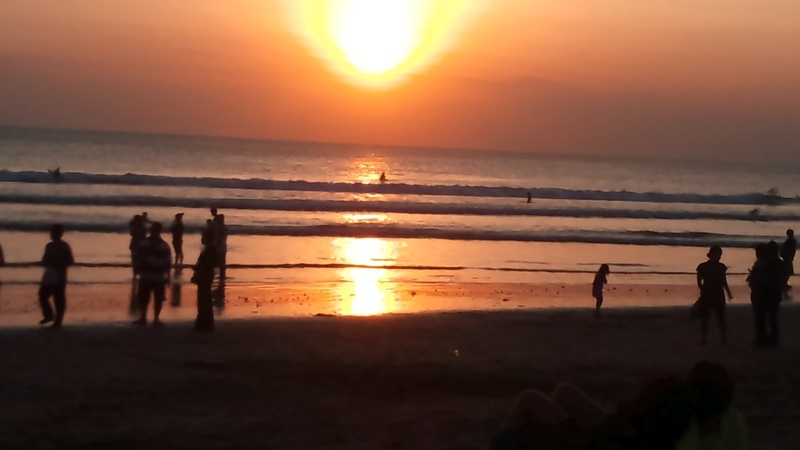 Hey hey…I’m back..yes, I’m back from holidays visiting my home country, the beautiful Indonesia. It was as always a hectic one. We went to Bali to enjoy the sun and the beaches. We had a great time. The kids enjoyed the beach so much they came out tan as ever. Kuta Beach during the day. 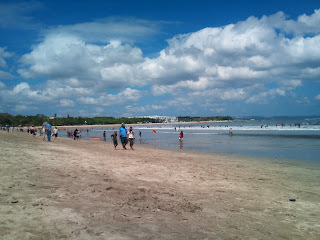 Enjoyed splashing in the water and watching people surf . A Massage lady in the Kuta Beach. She's been doing this job for the last 40 years!! When you go to Bali, you should do this cruise. We went for a cruise with the Balihai Cruise. We were taken to this beautiful island of Lembongan by a medium size ship. It was rather overwhelming cos the high tide. It was a great fun though the schedule/program was a bit hectic. There are lots of activities to choose. 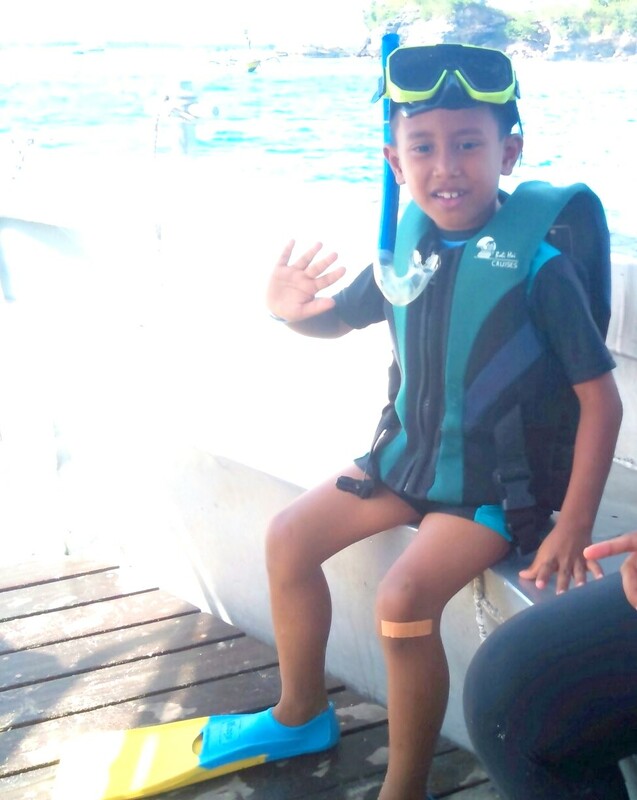 From banana boat to snorkeling. We went for the snorkeling too. Well, I tried 2 dips in the ocean but I was too scared to go further. I guess, I really need to do something for my fear of water. Oh we went to see the coral in this semi submarine boat. It was nice experience esp. for the boys. Next we went to Nusa Dua beach and the turtle island. 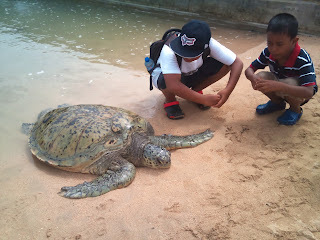 The turtle island is about 15 min boat ride. look at that cute turtle. The boys were so excited to be able to catch them. We had seafood dinner in Jimbaran, which is awesome. Great food great ambiance. Here, you gotta choose what seafood you want and what preparation you'd like to have. We spent the whole week in Bali. 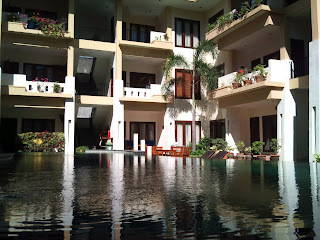 We stayed in a serviced appartment, which is nice and cozy, nestled in the middle of Kuta’s hundred of tiny alleys. 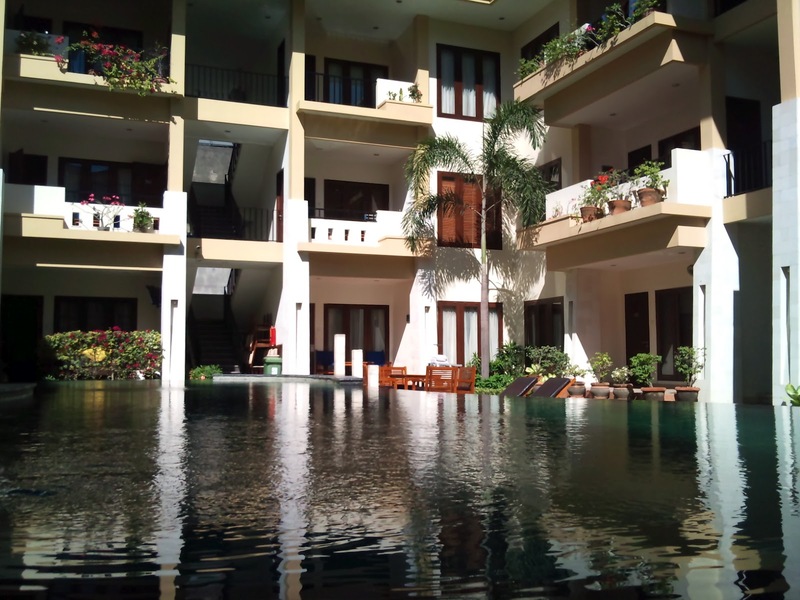 Well, there are star hotels too, but with the kids we always more comfortable in serviced appartment which is more homey and spacious than a hotel room. Especially now that they are getting bigger.